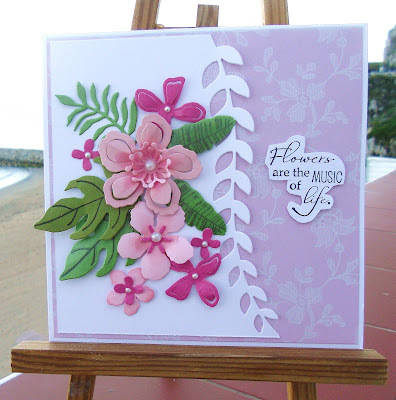 A gorgeous floral card Sylvie, I love your design. A beautiful card Sylvie, pretty flowers and lovely sentiment. A very pretty card, love the flower die cuts and leafy border too. A Beautiful card, love the blooms and design. These are indeed a lovely set and you have made the card in such pretty colours. I love it. Hugs Mrs A.